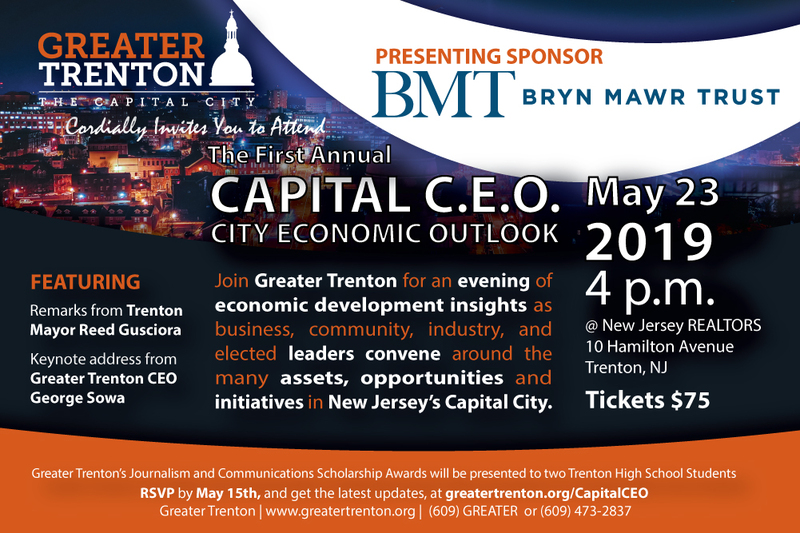 Greater Trenton is an independent 501c-3 nonprofit that uses private funding and a network of collaborative relationships to advance economic revitalization efforts in the state’s capital city. Our Board of Directors is comprised of Bristol Myers Squibb, Capital Health, Investors Bank, Janssen Pharmaceuticals, NJM Insurance Group, Princeton Area Community Foundation, Princeton University, PSEG, Horizon Blue Cross Blue Shield of New Jersey, St. Francis Medical Center, TD Bank, Thomas Edison State University, and Wells Fargo Bank. The organization’s Board of Directors has made a multi-year commitment to fund this important initiative.